Israel will negotiate with Jordan an extension of a 25-year Israeli lease of border land under a 1994 peace treaty, Prime Minister Binyamin Netanyahu said on Sunday. Netanyahu, in public remarks, said Jordan wants to implement its option to end the lease, and Israel “will enter negotiations with it on the possibility of extending the current arrangement”. Under an annex to the peace agreement, Israel leased about 1,000 acres of agricultural land in the southern sector of its border with Jordan, as well as a small area known as the “Island of Peace” near the Sea of Galilee. 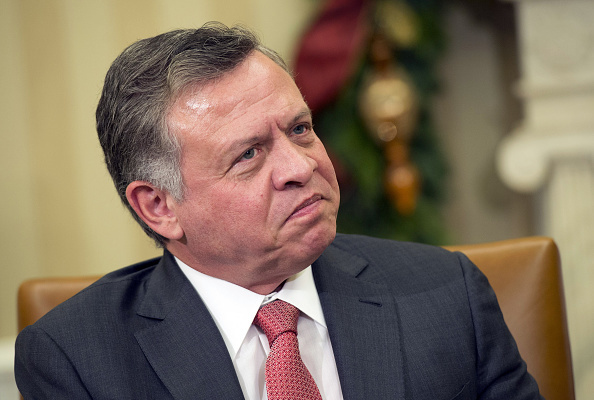 In a dramatic move, following a mass demonstration in Amman, Jordanian King Abdullah II announced Sunday that Jordan will be pulling out of the part of its 1994 peace treaty with Israel that granted Israel use of two small agricultural areas along the border that were part of the Hashemite Kingdom. According to the 1994 Jordanian-Israeli peace treaty, the regions of the Arava and Naharayim were leased to Israel. These are areas which Israel ceded to Jordan in the agreement. Afterward, however, Jordan agreed to lease the areas to Israel so that Israeli farmers there could cultivate the land. An addendum of the agreement stipulated that the areas would be leased out for 25 years, and either party could withdraw from the agreement with a year’s advance notice. October 25 marks that one year deadline, before the 25 years. Several months ago, the Jordan Times reported that Amman was mulling terminating the treaty annexes, with Foreign Minister Ayman saying in parliament in response to a question about the issue that “the government is currently examining its decision regarding the nature of use of the Baqura and Ghumar areas in a way that serves the higher national interests,” Safadi said. It should be noted that recently, relations between the two countries had actually even improved, with a meeting also held between Abdullah and Prime Minister Binyamin Netanyahu. This followed a period of sour relations in the wake of the incident in 2017 in which an Israeli security guard at the embassy in Amman shot and killed two people after one of them tried to attack him.